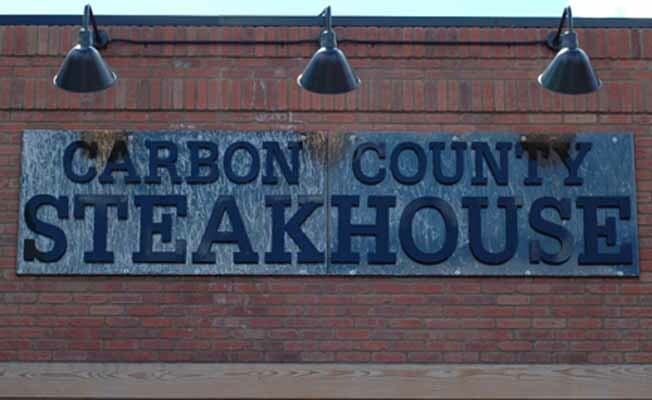 Well known for our consistency in both excellent food and service, the Carbon County Steakhouse welcomes you with good ol' hometown courtesy and the best locally raised 'Montana Legend' natural Angus beef. We serve sirloin to succulent prime rib. Fresh seafood arrives weekly, ranging from our famous mussels to Alaskan Salmon and King Crab. Specialty pasta dishes and salads complete the menu. During the summer we invite you to dine out on the patio with a view of the town in full swing. We offer a full service bar, excellent wine list, and feature the local brewery on tap.